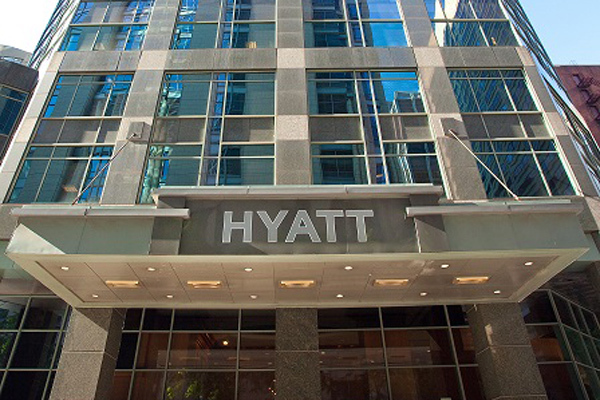 Hotel chain Hyatt has signed an agreement with Hui Xian Real Estate Investment Trust to manage one of its hotels. Located in Jiefangbei, Chongqing’s Central Business District in western China, the hotel is currently under renovation and is expected to be rebranded as a Hyatt hotel in the first quarter of 2019. Acquired by Hui Xian REIT in 2017, the hotel is currently being redesigned and integrated into the adjacent Chongqing Metropolitan Oriental Plaza, which is also under Hui Xian REIT’s ownership. With renovations expected to be complete in early 2019, the whole complex will be branded as “Chongqing Oriental Plaza,” and modelled after Beijing Oriental Plaza, encompassing the renovated hotel, a one-stop shopping centre, a Grade A office tower, and serviced apartments. As one of the four direct-controlled municipalities in China, Chongqing is one of the busiest transportation hubs and main economic centres. It led economic growth across 19 provincial-level regions in 2017. The number of domestic and foreign tourists in Chongqing has increased more than 20 per cent year-over-year. To be branded as a Hyatt hotel in 2019, the hotel will be well positioned to accommodate the city’s growing meetings, incentive, conference and event demand, creating an energizing space for travellers and corporate guests to convene and connect.